ESO Supernova Exhibition — What do exoplanets look like? What do exoplanets look like? 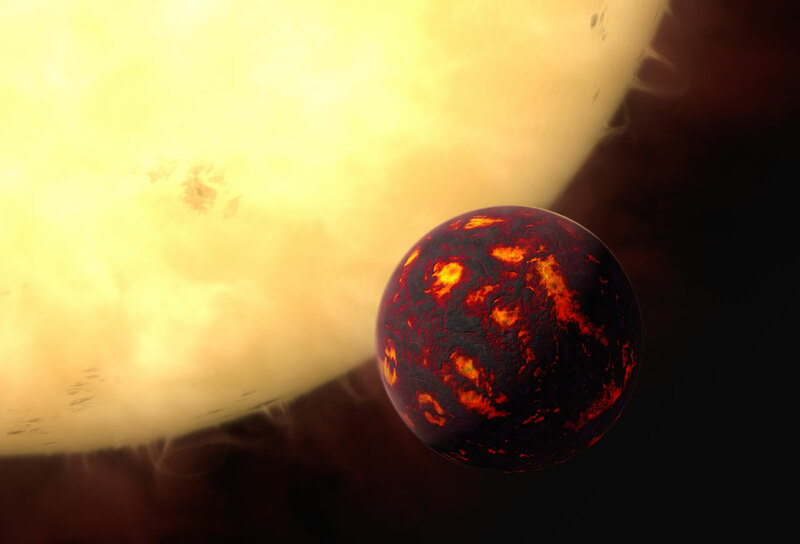 This artist’s impression shows the super-Earth 55 Cancri e. The planet is about 40 light-years away and orbits a star slightly smaller and cooler than our Sun. As the planet is so close to its parent star, temperatures on the surface are thought to reach around 2000 degrees Celsius.